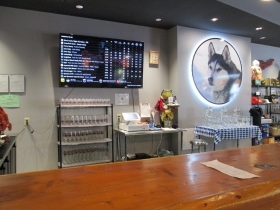 Grab a free beer, take the tour, and chat with Urban Milwaukeeans at Black Husky Brewing. 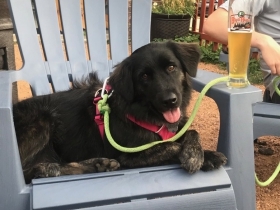 Beer, cabins, and that’s right, black-furred dogs, are at the core of Riverwest’s Black Husky Brewing. Home to not only “Milwaukee’s Worst Tour – Best Beer,” but also known for the high levels of care and dedication poured into their craft. With a rustic taproom filled with woodsy decor, board games, comfy leather chairs, blankets, a few hidden disco balls, and friendly neighborhood dogs, Black Husky Brewing is the perfect place to relax, unwind, and share some laughs. Urban Milwaukee members (and their furry companions!) 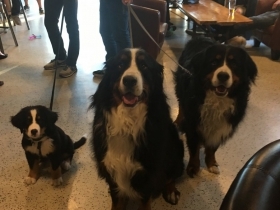 are invited to a Black Husky Brewing Beer Bash on November 29th starting at 6 p.m. An RSVP is required as space is limited. Members are allowed to bring one guest, but must request an additional ticket when reserving their spot. 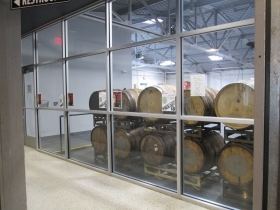 Black Husky Brewing owners Toni and Tim Eichinger will lead Urban Milwaukee members through “Milwaukee’s Worst Tour” including a free beer. A few surprises might be added to this tour, including a musical performance. And after that free beer, you get $1 off pints for the rest of the night. There will also be a special guest for this Beer Bash: food. Paella Police’s food truck will be outside serving tasty pails, salads, and burritos all night as well. 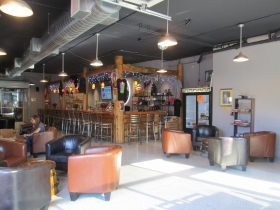 Black Husky Brewing is located on the corner of E. Locust St. and N. Bremen St. at 909 E. Locust St. in Riverwest. There are currently more than 10 original beers on tap, both signature and seasonal brews. This invitation is also extended to our canine members as well. Not a dog person? 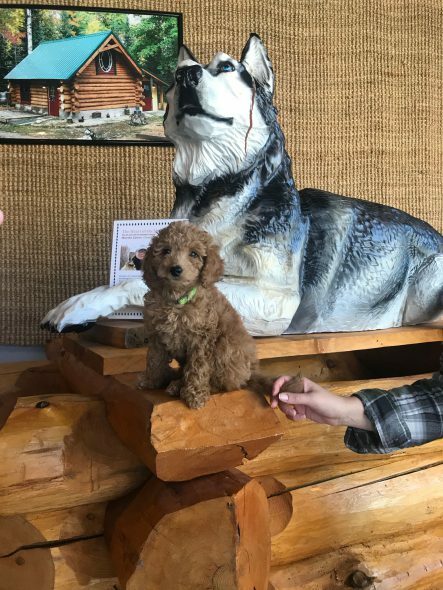 Not to worry, all dogs must be friendly and kept on a leash to attend. 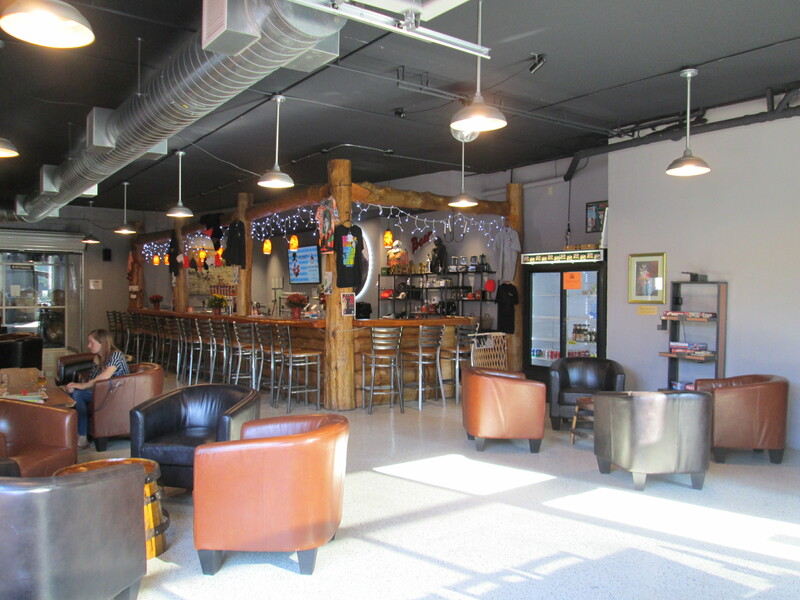 The event is meant to reward Urban Milwaukee’s loyal members and create an easy-going way for our staff and writers and readers and supporters to get together for tasty beers and convivial conversation about matters both urban and not. Here’s the rundown: arrive at 6, get a chance to be a part of “Milwaukee’s Worst Tour,” get a free beer, get $1 off beers for the rest of the night, eat food. We’d love to have a locally made craft beer with you. Oh, and if you’re looking to chat less, but enjoy the beer? 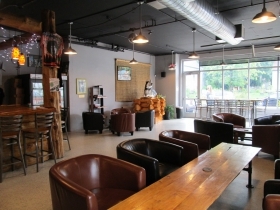 That’s great, too; there’s multiple televisions in the taproom, a cozy fireplace with blankets, and lots of board games. Not a Member, but Still Want to Come? We’d love to have you join us. Simply sign-up to become a member for just $9/month and you will immediately be able to reserve your Beer Bash tickets. In addition, you will gain access to an ad-free website with a faster moving photo browser and an ever-growing number of free tickets to marquee events in town (music, theater, festivals, fun) as well as unique tours and a ton of other deals. For more information about the perks of becoming a member, visit our membership page. And claim your Beer Bash tickets here.